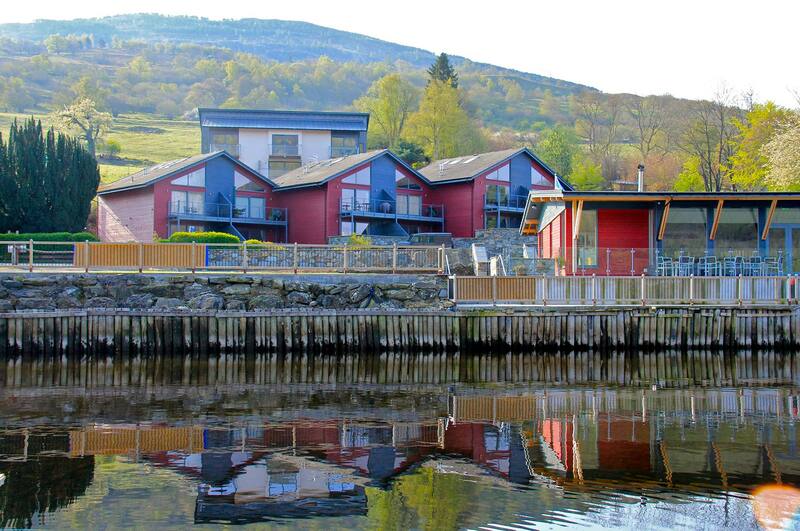 Taymouth Marina and the HotBox is a modern self-catering holiday resort nestled on the banks of Loch Tay at Kenmore, Perthshire. 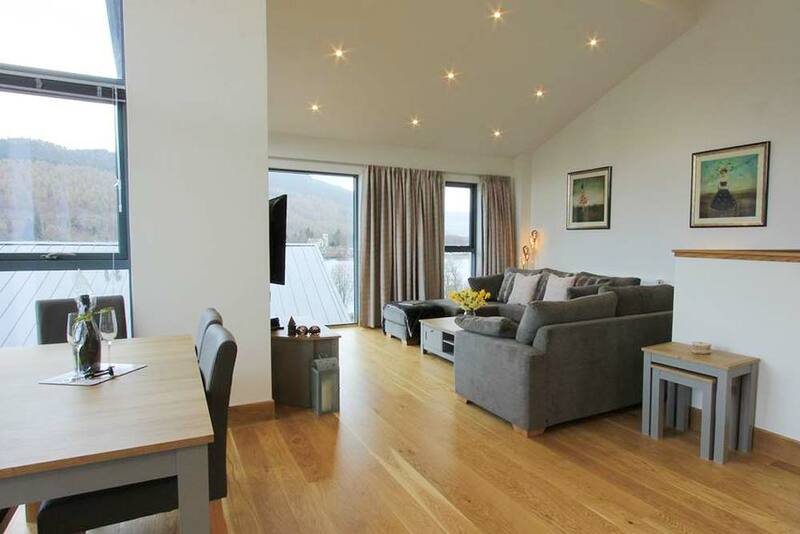 The accommodation offers a variety of stunning apartments with loch views and a lochside cottage. Most of the properties even have their own private hot tubs and several of the apartments are pet-friendly, for those who like to take their furry friends on holiday too. The HotBox is Scotland’s first lochside sauna and is complimented by an inviting outdoor firepit and the HotBox bar, offering smoothies, light bites and a great range of alcoholic tipples. We wouldn’t have developed Taymouth Marina right on the lochside without taking advantage of it so, during the summer months, we offer a full range of water sports including the water trampoline, kayaks, our loch monster pedalos named Ken More and Albert Feldy, the Taymouth Loch Slide – a 20-foot slip from the HotBox area right into Loch Tay! When you arrive at the marina and hop out of the car, the first thing you’ll probably notice… is nothing. What we mean by this, is the sound of silence is instantly calming. It’s probably been a while since you’ve been in a spot of such tranquillity. Complete and utter silence, save for the calls of a few of the local curlews perhaps. 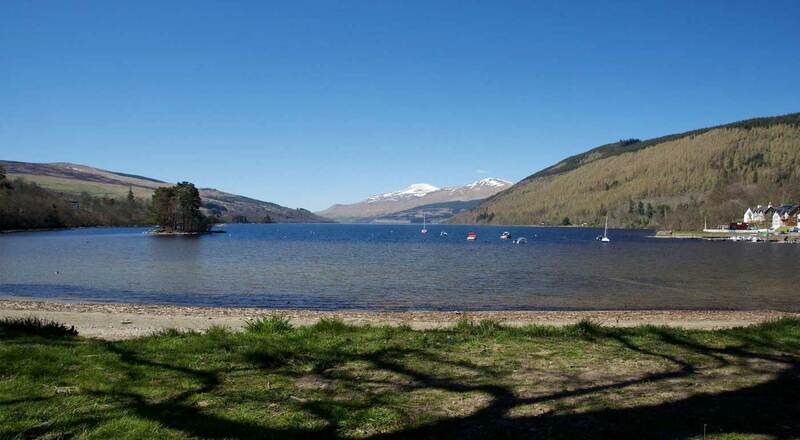 The next thing you’ll notice is the beguiling Loch Tay and the enigmatic Perthshire hills which seem to change in appearance with every passing hour. Okay, so we’re biased, but the view out over the loch is one of the finest in Scotland, perhaps the world! If you’ve chosen to stay with us, you’ll be greeted by one of our friendly team (smiling could be a national sport for this lovely bunch) and you’ll be shown to your home for the duration of your stay. Modern, clean lines, sumptuous furniture, large windows to really take advantage of that view and high-end appliances adorn every one of the apartments, regardless of which one you’re staying in. Good design and lots and lots of space were key components when we developed Taymouth Marina and this is obvious in all the accommodation. Most of the properties also have bubbling hot tubs just waiting for you to enjoy (how about a glass of bubbles too as you relax?). Like many of our guests, you might just want to sit a while and take in the view from your apartment and who could blame you for that? Did we mention it’s rather stunning? The HotBox is Scotland’s first lochside sauna and is quickly becoming one of Perthshire’s most revered attractions. Grab your costume and towel (we even have luxury towels to hire) and head along. The many health benefits of sauna use are well documented, including stress relief, skin cleansing and, according to recent research, even improving the immune system! One of our personal favourite activities is the Loch Slide. It’s a 20-foot slide from the HotBox lawn area, straight into Loch Tay. The question is, are you game enough to take on the #LochSlideChallenge? If that sounds a little too much for you (you’ve only just arrived after all), why not grab a healthy smoothie or something a little more naughty from the HotBox Bar and sit at our open firepit? You could even take the short walk down to our private beach and take in those views… perhaps even with that book you’ve been too busy to read until now. You might be quite happy enjoying the loch from dry land, but if you’re feeling active, we’d recommend you enjoy our water trampoline in the loch… it’s just a short swim from the beach. A few of our family guests recently had their own trampoline somersault competition… which looked impressed. It’s your turn to try it. As well as that, there’s kayak hire and our loch monsters just love to be taken out for a pedal. 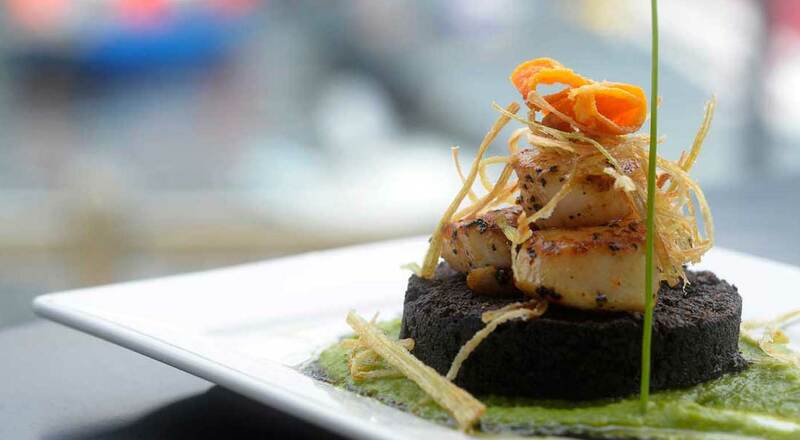 We have lots of healthy snack options at the HotBox Bar but if you’re looking for a more substantial evening meal, why not stroll along to the restaurant? You’ve only been here for one day and already you’ve packed a lot in. Let’s slow the pace down a little, so find a comfy spot around the firepit and watch the flames dance as the sun sets behind the Perthshire hills, bringing to an end a memorable day at Taymouth Marina.